A CARRYDUFF couple are enjoying a double celebration after they both graduated from Queen’s University this month. 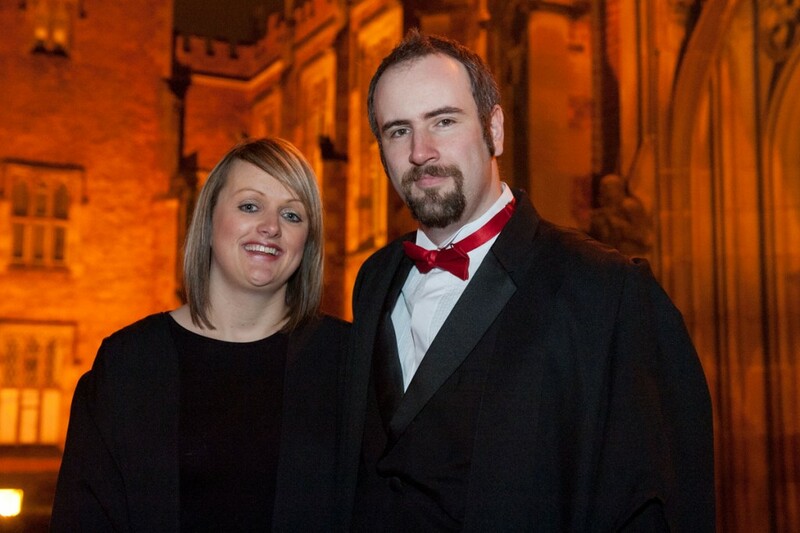 Husband and wife Simon and Laura Lee originally met at Queen’s while undergraduates before marrying in 2009. Now parents to two-year-old son Benjamin, the pair received new qualifications during this month’s winter graduations. Simon, who already has a degree in divinity, a Masters in theology and a PGCE teaching qualification, received a certificate in person centred counselling. Laura too received the same certificate, to go along with her previous degree in nursing. Husband Simon added: “Returning to study counselling was a new but rewarding challenge. We were both interested in counselling, and Laura always wanted to be in a caring profession, so the courses at Queen’s suited us.